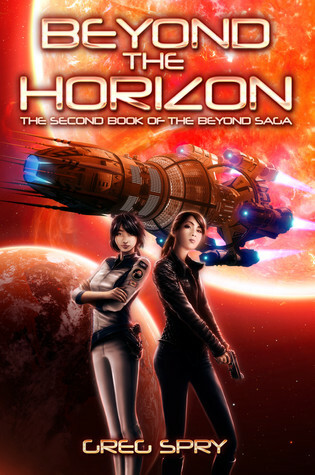 Beyond the Horizon is an action-packed read. I have not read the first book, but this second story can be read as a standalone novel; although, I imagine knowing more backstory would add value. The main characters are interesting and well crafted and the plotting sound. Towards the middle, I feel the pace drags slightly, but it soon picks up again for the finale. The ending is perfectly executed: it wraps up this story in a way that is satisfying for the reader, but it also leads us forward to book three. I don't read a lot of straight sci-fi; however, I found this book most enjoyable and it should please the huge number of pure sci-fi fans out there.